Girl Kuripot Girl Kuripot: Contest Alert! Win a Trip to Hawaii! There is a race within a race for another race. Your final destination is Hawaii! Either way, these races will take you somewhere and everywhere. First, you have 3 options. 2. Buy 2 Pairs of Havaianas and register (until March 28, 2011) for the weekly winners (15 winners per week until March 30, 2011) of gadgets and stuff. 3. 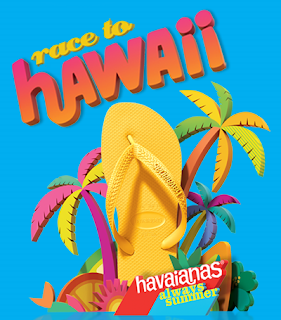 Buy 2 Pairs of Havaianas and register (until March 28, 2011) for the random draw to be one of the 100 teams to do qualifying tasks. The first 20 will go to another race in Boracay.